Praying Mantis will release their eleventh studio album, 'Gravity', on 11th May via Frontiers. After the positive reception afforded to the last Mantis studio release, 2015s 'Legacy', the new record sees the legendary NWOBHM act return with another inspired, take-no-prisoners set. The new album also sees Mantis retain the same line-up, with John Cuijpers (vocals) and Hans in't Zandt (drums) again contributing to the songwriting process. Alongside founder members Tino Troy, Chris Troy and Andy Burgess, they have provided a new dimension in terms of sound engineering and overall production. 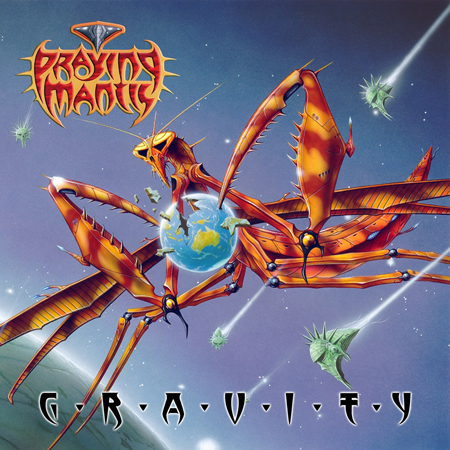 One of the most influential and well known sleeve artists in the rock field, Rodney Matthews (Magnum, Diamond Head, Allen/Lande), was commissioned to design the artwork for 'Gravity' in the same style and stunning quality that so many fans loved on Mantis albums such as 'Time Tells No Lies', 'Predator In Disguise' and the aforementioned 'Legacy'. Praying Mantis were formed by brothers Tino and Chris Troy in 1973 and, together with bands like Iron Maiden, Def Leppard and Saxon, they spearheaded the NWOBHM (New Wave Of British Heavy Metal) movement of the late 70s. While they did not attain the same dizzying heights of success as some of their contemporaries, they nonetheless became one of the most influential bands in the genre. 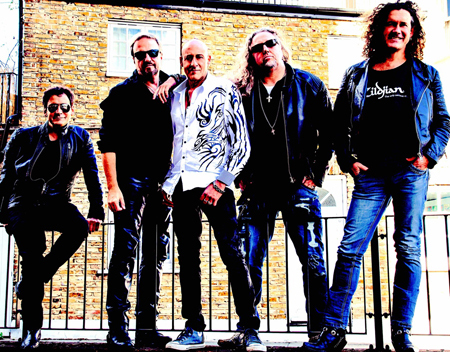 The band have remained active over the years and still record and play live regularly with a performance at the annual Frontiers Rock Festival in Milan, Italy on 28th April slated.